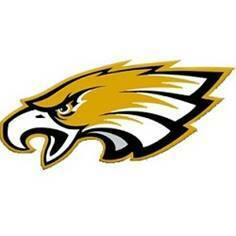 NORTH ROBINSON — Colonel Crawford and Galion met on the Eagles home track Wednesday afternoon. The Galion boys cruised to victory, 85-47. The Lady Eagles edged Galion 68-63. Galion won 14 of 17 events in the boys meet, starting with a winning time of 9:47 in the 4×800-meter relay. Isaiah Alsip took first place in the 110-meter hurdles (16.55), followed by a 100-meter dash victory by Evan Barker in a time of 11.52. Alsip, Kalib Griffin, Hanif Donaldson and Colbey Fox ran alone in the 4×200-meter relay, recording a time of 1:34. Braxton Tate finished atop the board in the 1600-meter run, defeating runner-up Braxton James of the Eagles; 4:41-4:48. After Galion claimed first place in the 4×100-meter relay (48.46), James snagged a victory in the 400-meter dash, finishing the lap in 55.52 seconds. James’ victory was followed by a Jacob Rahm win in the 300-meter hurdles (44.34), which proved to be the Eagles final victory in the running events. Alex Mutchler vaulted his way to a height of 13-feet, 6-inches for Crawford’s only victory in the field events portion of the day. Other winners for the Tigers were: Tate- 800-meter run, 3200-meter run; Fox- 200-meter dash; 4×400-meter relay; Noah Atkinson- shot put, discus; Donaldson- long jump and Jack McElligott- high jump. In the girls meet, the Eagles’ Katie Hanft, Katie Hopkins, Alison Manko and Ally Hocker got the meet started with a victory in the 4×800, edging Galion’s Zaynah Tate, Ava Smith, Brooklyn Gates and Airyona Nickels; 10:54-10:58. The Lady Eagles also won the 4×200. Galion did not have a team for this race. Galion’s Kerrigan Myers won the 100-meter hurdles while Brooklyn Cosey dashed her way to a win in the 100-meter dash (13.48). Myers also won the high jump at 5-feet, 2-inches. Hocker edged Z. Tate and Smith in the 1600, winning in a time of 6:15 before the Galion 4×100-relay team dash to a win. In the 400, Drew Krassow defeated a teammate to earn the five points the event offered while Cassidy Vogt followed that win with a victory in the 300-hurdles (51.51). Smith would hold off a pair of Lady Eagles runners in the 800 to snag five points for the Tigers before Liv Krassow (200) and Hopkins (3200) tallied a pair of wins in the next two events. Galion would finish the day with a win in the 4×400-relay, recording a time of 4:43.77. Colonel Crawford’s final victory came in the shot put before Anna Court took the top spot in the discus for Galion with a heave of 124-feet, 4-inches. Jalyn Oswald won the long jump while Kayla Hardy wrapped the wins for the Lady Tigers in the pole vault.